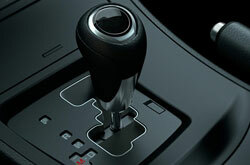 To begin reading Joe Myers Mazda's 2013 Mazda3 review, scroll down below the video. As the premier automotive writers performed countless hours of research on the Mazda3 to provide you with the finest information possible. Loaded with helpful specs and material, each passage gives you complete access to all the Mazda Mazda3 has to offer. What are you waiting for? 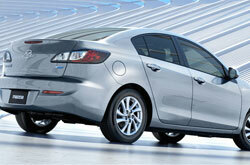 Watch the video below or start reading the 2013 Mazda3 review below! By examining the 2013 Mazda Mazda3 to the 2013 Chevy Cruze, Honda Civic and the Hyundai Elantra, and you can see that the Mazda3 ranks above those autos in various zones. Catch a glimpse of the hightlights below. Your Mazda should be treated properly - that means Mazda factory- trained Mazda3 technicians, trustworthy Mazda parts, and the peace of mind that comes from a 12-month service dealer warranty. Joe Myers Mazda service and auto repair in Houston is a click away! Joe Myers Mazda's auto repair mechanics will make your Mazda3 run strong, so drive it to our Mazda car maintenance facility in Houston today. Whether you need us to call the shots on a easy chore as an oil change, or take on more complicated Mazda service and repairs like transmission rebuilds, strut and shock repairs, timing belt replacements. Make a favorable choice when electing a worthy establishment to have your Mazda Mazda3 repaired, and don' forget: At Joe Myers Mazda you can get one of a kind service and affordable prices on Houston car repair. Find out how much you can save on your next service! Just follow the link below.